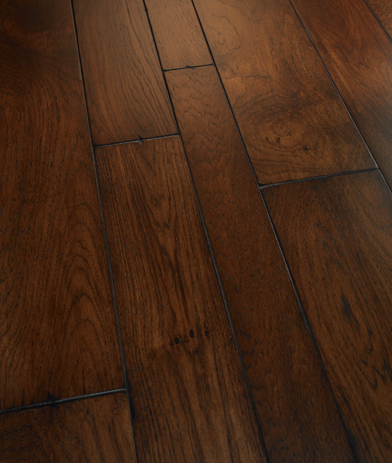 Estate Collection hardwoods are lightly wire-brushed to expose their beautiful wood grains and create an antique hardwood look. 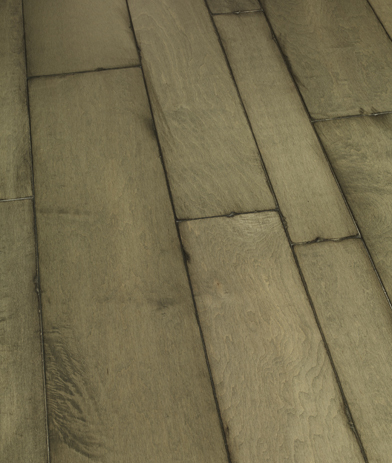 Estate Collection also features hand-distressed edges and ends using upwards of 36 old world artisan tools. 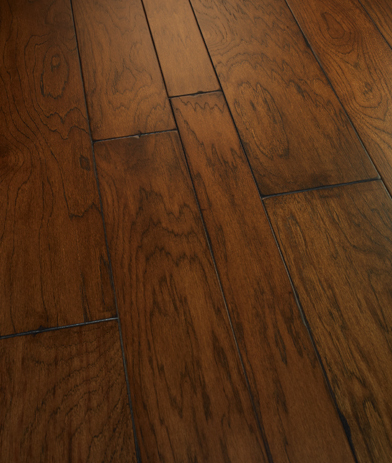 Engineered from fine Hickory, Maple and Walnut, Estate Collection hardwoods are available in many distinctive color selections and come in a mixed-width configuration. 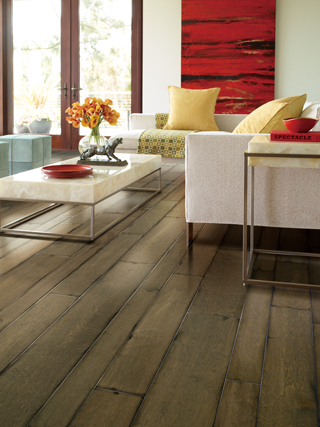 This series also features our 50-year finish warranty for residential installations.